We raced popular Internet services, then paired each service with a car. Placings were awarded from 1st to 6th. 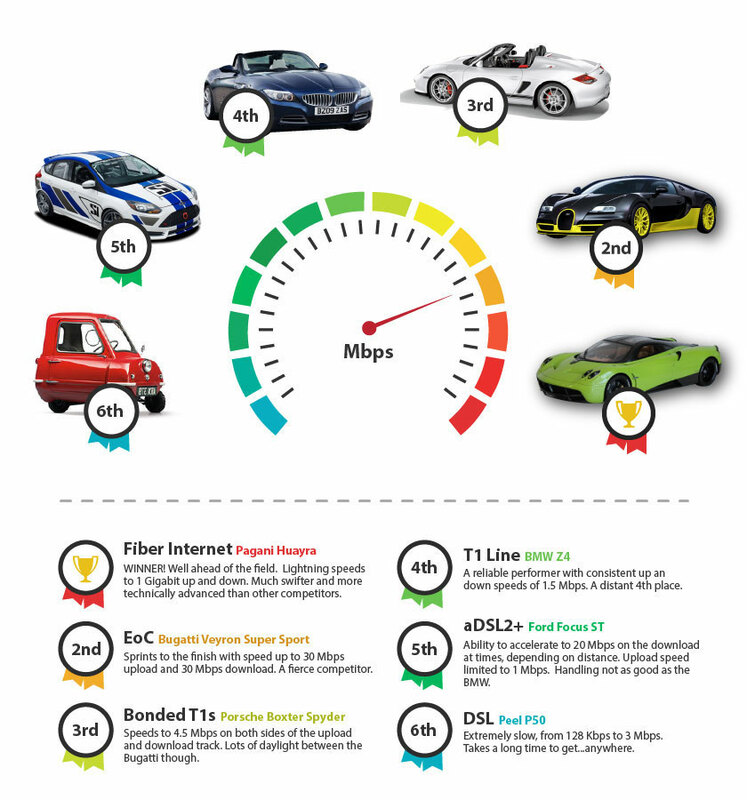 Business Internet services were matched with cars based on performances in the 'power lap' of the BBC racing show, Top Gear. Results from the BBC show were given preference over U.S results, due to a larger range of speed tests. No offense to any Peel P50 or DSL drivers! Get the details on business broadband and fiber Internet services in our comparison table. Or, check the key differences between DSL vs Cable vs Fiber Internet.